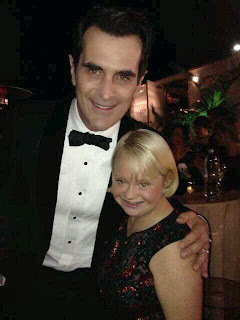 Down Syndrome Daily: Tweets from Jamie Brewer and Lauren Potter at the Golden Globes! Tweets from Jamie Brewer and Lauren Potter at the Golden Globes! Tweets from Jamie Brewer (American Horror Story) and Lauren Potter (Glee) from the Golden Globes!